SEATTLE — Annie Lennox has come a long way since fronting the award-winning Eurythmics in the 1980s. For the most part, many know about Lennox and her affiliation with Dave Stewart as a part of the pop duo, and how she proceeded to become a successful solo artist selling more than 80 million records. However, not everyone may be aware of her charity work with such organizations such as Amnesty International, Greenpeace and Nelson Mandela’s 46664 Foundation. Scottish born Lennox has also been an advocate for the advancement of women’s rights around the globe and hopes the term global feminism is something the world will embrace going forward. The following list reveals 10 facts about Annie Lennox. In recognition of International Women’s Day in 2019, the iconic singer and activist teamed up with Apple Music to launch a video telling the story of women’s rights in the last 100 years. Though Lennox believes there has been major progress for women’s rights she argues that much more needs to occur with the inclusion of boys and men to understand key changes in attitude and behavior towards women. In 2008, Lennox launched The Circle, an organization that focuses on gender equality. The Circle also explores how women can be a powerful force for change. Ever since Lennox performed at the inaugural concert for Nelson Mandela’s HIV/AIDS Foundation 46664 in 2013, she has been on a mission to raise awareness and funds for the HIV/AIDS cause. During Mandela’s 90th birthday concert in London, she urged people to help the 15 million children orphaned in Africa as a result of HIV/AIDS. Of note, in 2008, the singer received the British Red Cross’ Services to Humanity Award in recognition of the work she has done in building awareness about the HIV/AIDS pandemic in Africa. Lennox endorses what she considers “laptop activism” and runs many of her charity initiatives through the internet. Dedicating much of her time to increasing attention of the HIV/AIDS pandemic in Africa is the goal, alongside focusing on human rights through her affiliation with Nelson Mandela’s 46664 Foundation. Spending time in Malawi with Oxfam and Uganda with Comic Relief, encouraged Lennox to establish an organization called SING, dedicated to supporting women and children affected by HIV/AIDS. The heart of SING is fundraising and advocacy. And in 2007, Lennox invited 23 internationally celebrated female artists, including Pink, Madonna and Faith Hill, to lend their voices on a special CD appropriately titled, Sing. Accordingly, Lennox believes that everyone individually or collectively can make a difference to address the issue of extreme poverty, health and wellness. As an open supporter of Greenpeace and Amnesty International for many years, Lennox and Dave Stewart donated all the proceeds from the Eurythmics’ 1999 Peace tour to both charities. For her generous efforts, she received the Woman of Peace Award given at the 2009 World Summit of Nobel Peace Laureates. In 2011, Lennox also received an Officer of the Order of the British Empire from Queen Elizabeth II in recognition of her contribution to humanitarian causes to date. In 2017 Lennox was the recipient of the George Harrison Global Citizen Award. Harrison devoted decades of tireless efforts to help the world’s poor. The beauty and power in Harrison’s music with his social, political, universal message for a more sustainable, peaceful world inspired millions of people, including Lennox. On her blog, Lennox outlines some of the details affecting women and girls around the world as part of the #OneReasonWhyImaGlobalFeminist campaign. There is a dire need to put into action more encouragement towards the empowerment of girls and women on a global level. While visiting a family counseling center and shelter for women in a township in Western Cape, South Africa, backed by The Circle, Lennox saw firsthand how this facility offers comprehensive and holistic care for women. Social workers are available to help women seek and receive the care they require and additional counselors to help women and children deal with traumatic events. The center also includes a crèche and child care for working women. As one of 40 international celebrities who became Greenpeace ambassadors, Lennox supported the efforts of a Greenpeace ship headed for the Antarctic to make the case for an Antarctic Ocean Sanctuary. This expedition gathered scientific evidence in order to safeguard species such as whales and penguins with protection for the ecosystems. 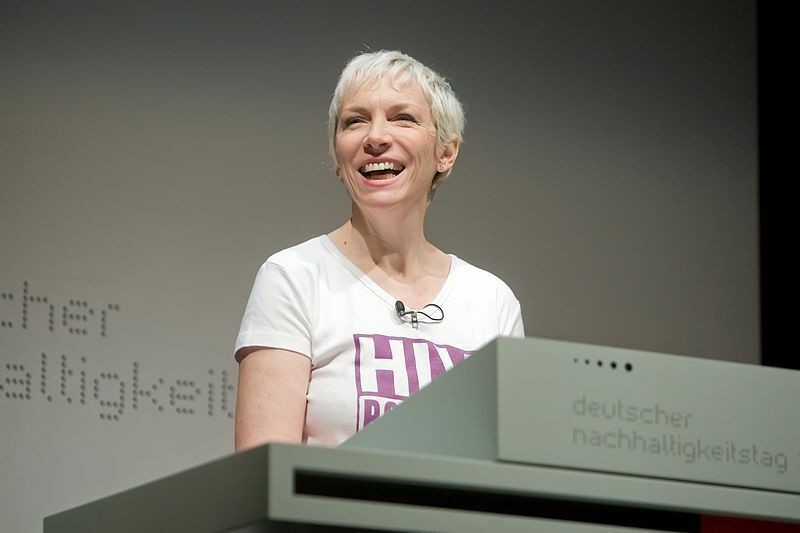 These 10 facts about Annie Lennox demonstrate how this accomplished musician has worked towards changing the world especially in the areas of female empowerment and HIV/AIDS awareness.